Playing is often learning in a favourite way.. Little champs of Shraddha are put in a curriculum designed for learning & knowing. Kindergarten is an exciting time of exploration for any child. 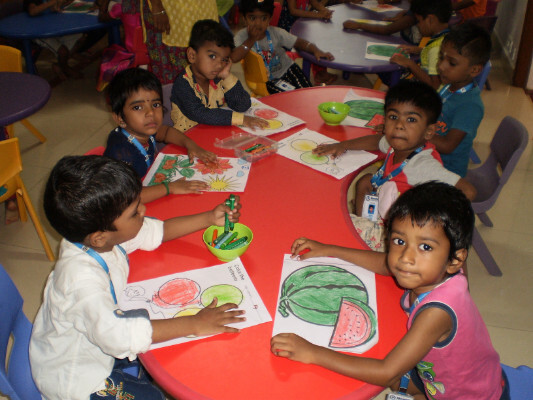 At the Kindergarten level, Shraddha provides children a joyful and secure environment to explore and discover. 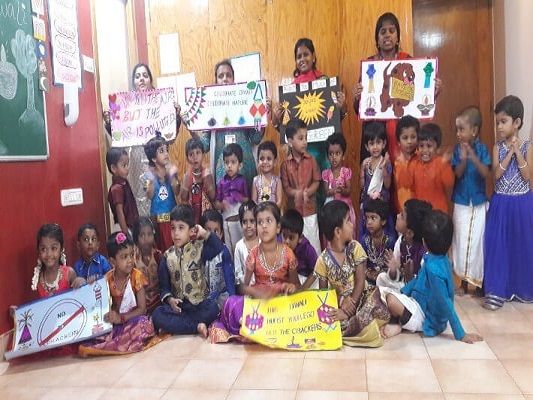 The experiential learning approach helps children make sense of the world around them through various activities both in and outside the classrooms. 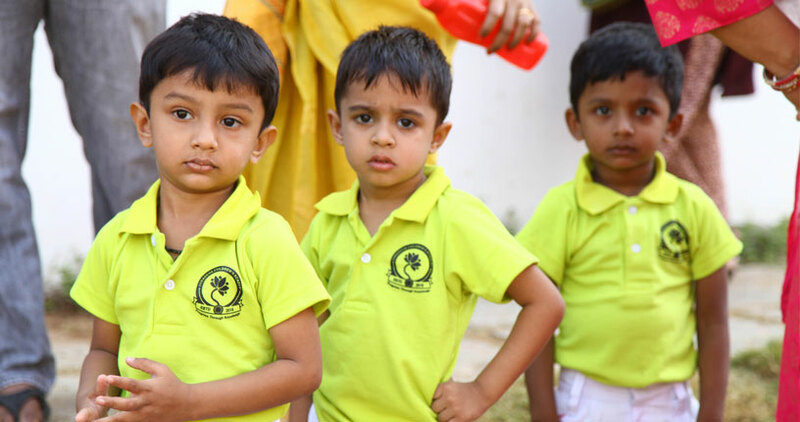 The curriculum is designed to help young children excel in language and cognitive learning. 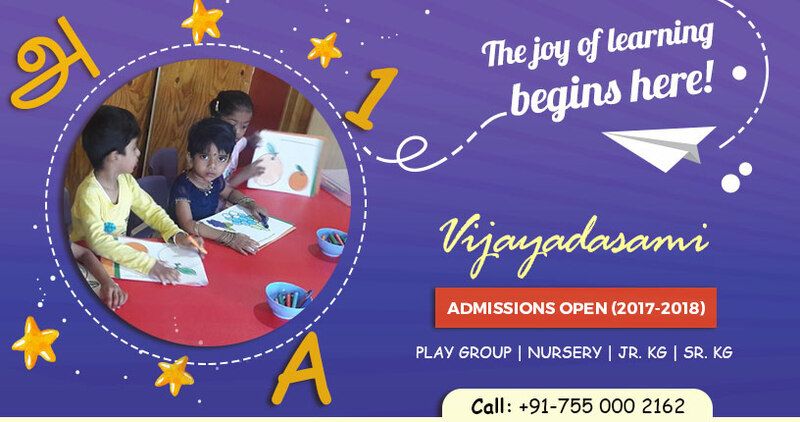 It focuses on building strong pre-reading skills, practicing letter formation, enhancing listening and communication skills, getting an introduction to basic math concepts, and acquiring an active interest in the world. 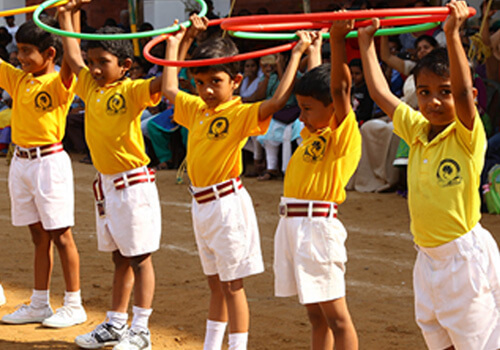 Programmes of Shraddha are designed to inculcate students with immense knowledge and life skills. 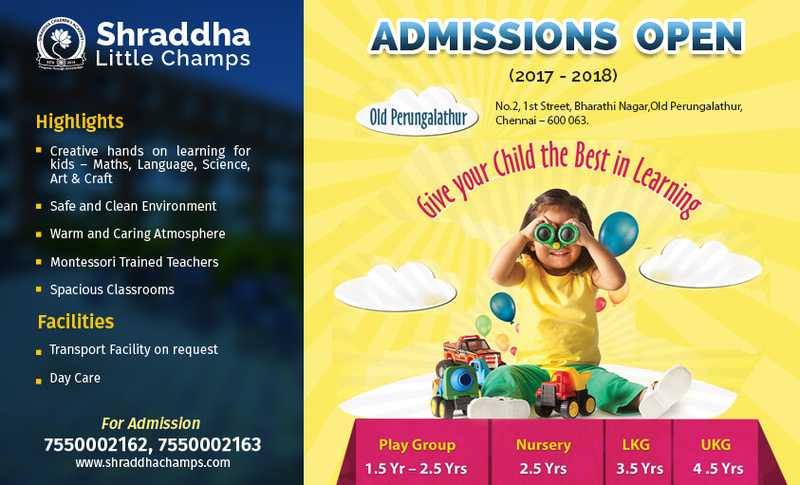 At Shraddha we help to about a holistic development of every child , in order to accomplish the same we have a lot of fun based /activity based learning which we impart to our children. 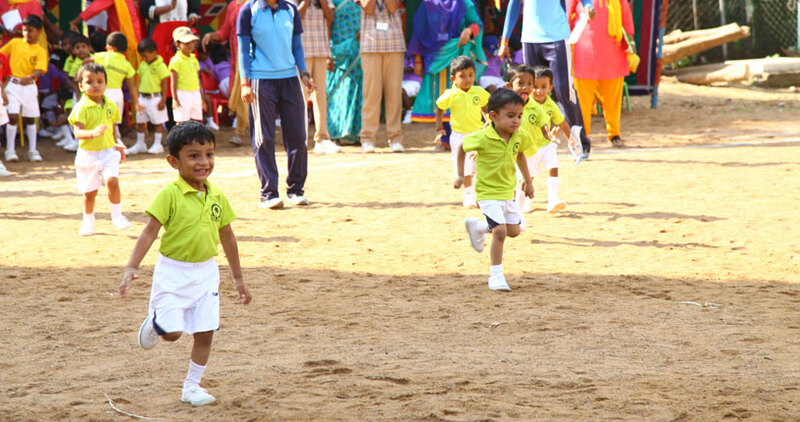 We ensure our Kg children do get the benefits of physical activity everyday at school. They have a period allocated just for sports where they get trained by our PT coaches. 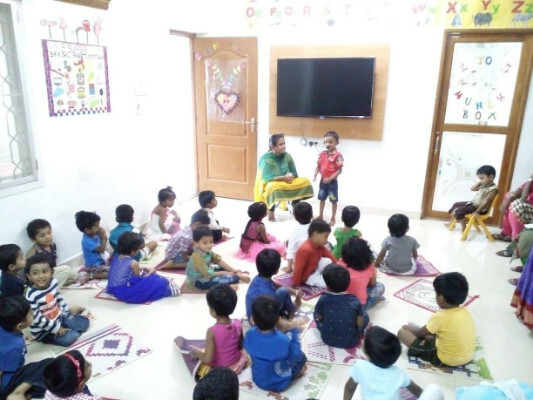 We have smart classrooms where stories and rhymes are played along with music and supporting videos. 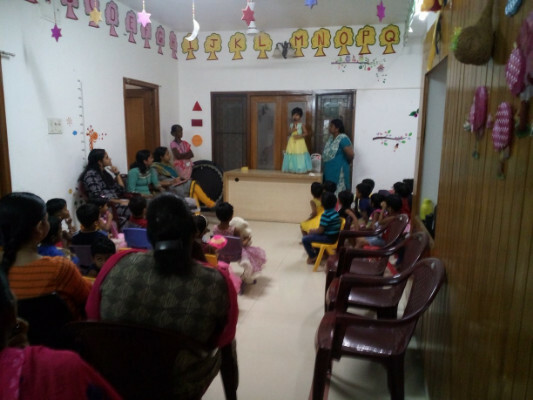 We believe teaching when enhanced with audio visual aids is far effective in reaching the child’s imagination. 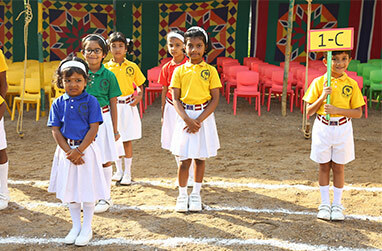 Children have a separate hour for music which will be facilitated with an instrument played by the teacher in the class. 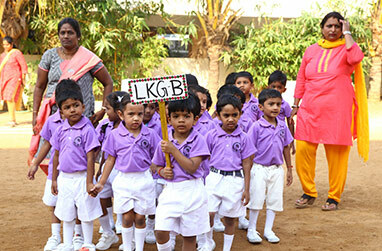 We provide work sheets on a regular day to day basis to every child which will be completed by the child in the class. We have a separate sand pit area in our school where the kids are allowed to play every day in the sand. Play gym facility especially for the kindergarten section is available. 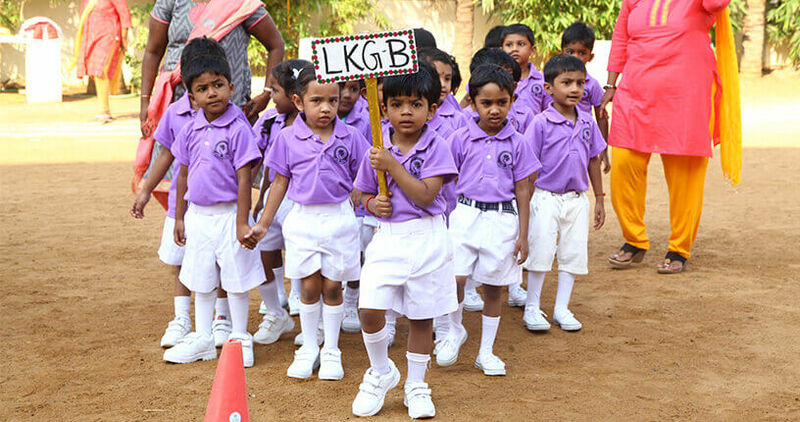 Separate toilets which are equipped to meet the comfort of the Kg children is also provided by us. 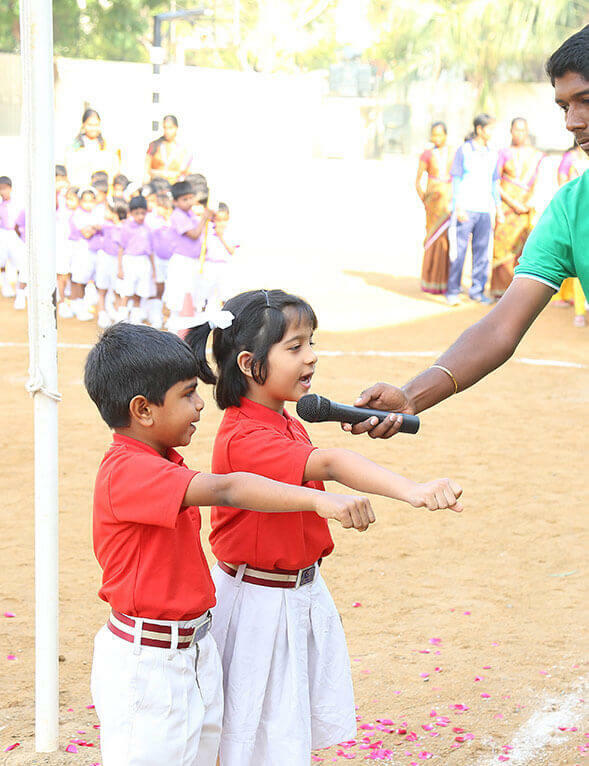 Field Trip to Chennai Snake Park | Shraddha Little Champs, Old Perungalathur. An experience with strange, beautiful and fascinating reptiles. HAPPY TEETH FOR HAPPY SMILES!!! 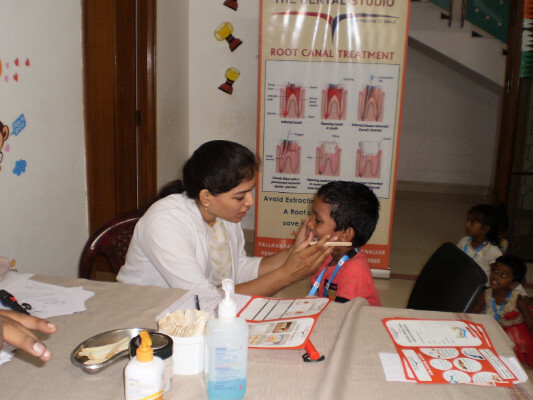 Dental camp conducted by Dental Studio for the little champs of Shraddha on the 21st of August. 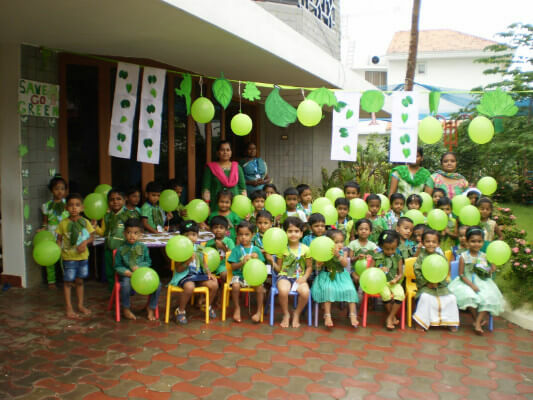 Green Day – A day to celebrate the colour of nature, prosperity and peace. 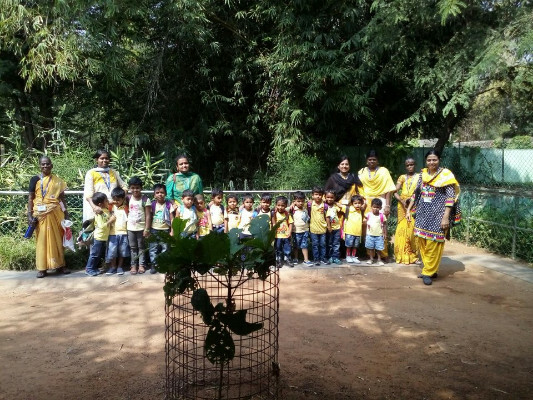 Shraddha’s little champs explored everything, from plants and trees to object that come in the colour green. Our kindergarten students and staff, dressed in green, and brought out the infinite vitality of the color green. Red, the vibrant colour of life and cheerfulness!!! 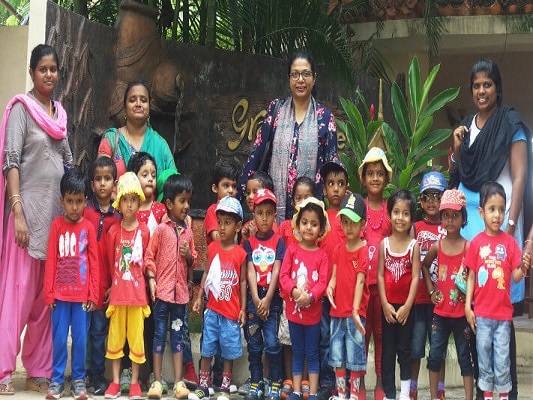 Our Kindergarten students were introduced to the realm of the colour red with a month of learning the different fruits, flowers and more that come in the colour red. 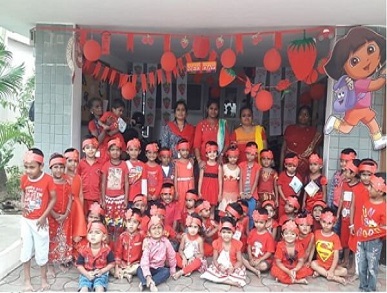 Our kindergarten students and teachers dressed in red to culminate the events of the month. Selaiyur, Chennai - 600 074. ©Shraddhalittlechamps, 2017. All Rights Reserved.